Ashvin Gidwani Productions will stage the much-loved show ‘History Of India – VIRitten’ to create some personal history of its own, by celebrating its 100th show at Jamshed Bhabha Theatre NCPA, Mumbai, on the 11th of January, 2015. 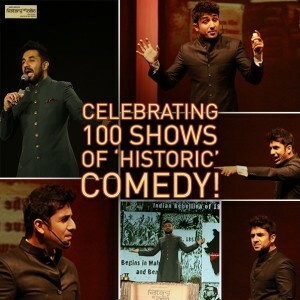 The entertaining king of comedy, Vir Das, along with the talented Kavi Shastri promise an evening filled with the funniest, wittiest and the most-sensational relook at the history of India. The play is an entertaining recollection, right from the beginning of the Mohenjodaro and Harappan civilization times till recent times, enhanced with Vir Das’s crazy antics and hilarious dialogues. 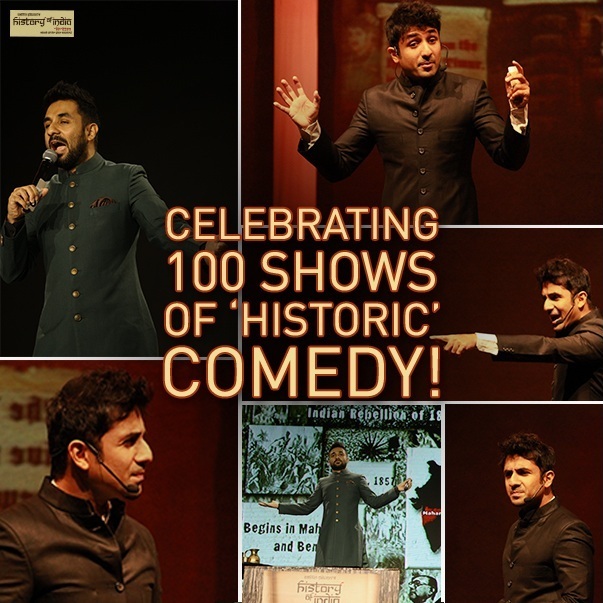 A twisted out-of-the-box touch to the history of the country is the essence of the play combined with the apt comic timing of Vir Das. The show opens with a hilarious and extremely amusing opening act by Kavi Shastri, followed by a riot of laughter with Vir Das. Be prepared to laugh throughout the two hour performance. 20 queries in 0.535 seconds.